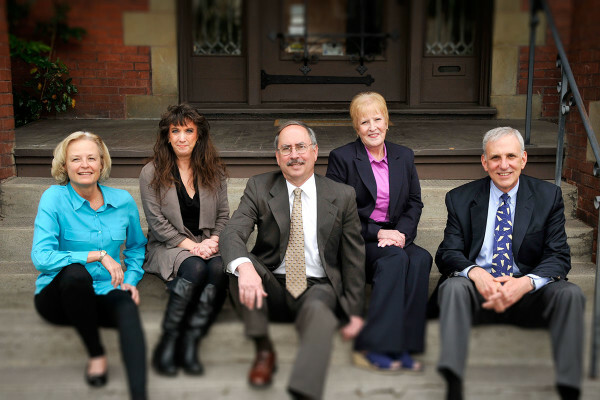 Richard Senders, Paul Bovarnick, and their staff, including Deanna Stuart, Sandy Senger, Cindy Redmond and field investigator Skip Barnes, are focused on providing the highest quality representation to their clients. Paul and Richard exclusively represent individuals and small businesses. Paul focuses on railroad and construction injuries, medical negligence, employment discrimination and insurance disputes. Richard focuses on representing individuals and small businesses in real estate disputes and transactions, business transactions, contract disputes and business formations. He also helps his clients who have employment disputes with the Federal Government, or who need help with wills, trusts and estates. Paul and Richard are supported by experienced staff who have decades of experience serving their clients. Their staff are friendly, helpful, efficient and prompt. If you work for the railroad and have an injury, there is a special law that protects you. That law is called the FELA (Federal Employers Liability Act). Rights and remedies of federal workers. Merit Systems Protections Board (MSPB) appeals. Equal Employment Opportunity (EEO) complaints. Forming a new business. Contracts. Employee issues. Buying or selling a business. If you've been injured in crash involving a truck or automobile, call Paul. You may be able to recover money for your injuries not only from the driver who hurt you, but from your own insurance company. But there are deadlines for making claims and filing lawsuits, and the laws can be complicated. So if you've been in an accident, give Paul a call. Buying, selling, financing, and leasing commercial properties. Developing residential subdivisions. Condominiums. Homeowner Associations. Buying or selling a home. Real estate disputes. If you have been injured on the job, you may be entitled to Workers Compensation. If you work for a railroad, you may be entitled to sue the railroad, and if you do construction work, you may be entitled both to Workers Compensation, and to sue whoever caused your injury.